The Ph.D. in Economics provides students with the opportunity to combine advanced training in the field with teaching and applied research. Graduates of the program may possess the skills necessary for successful careers as university professors, research economists, consultants for private businesses, and advisors to the government. Department faculty and staff provide resources and support needed to ensure the placement of doctoral students after four years of study. The department’s attention to job market preparation has led to an excellent record of placing its graduates in tenure-track positions at well-known public universities and colleges. 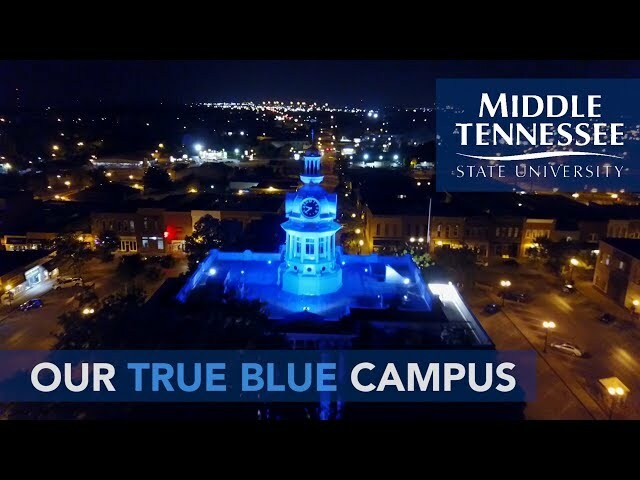 Students who opt for non-academic employment have accepted research positions at branches of the Federal government, FedEx, Regional Economic Models Inc., and various Tennessee state government organizations. The Department of Economics and Finance offers a Doctor of Philosophy (Ph.D.) in Economics with specializations in labor economics and industrial organization. Applicants for the Ph.D. program are not required to have earned a master’s degree. Students who wish to enroll must submit an application form, an official undergraduate transcript (a bachelor’s degree or equivalent is required to be admitted), an official GRE score, and three letters of recommendation. The program is a full-time course of study, and priority in admission will be given to those who enroll as full-time students. Additionally, departmental graduate programs include a Master of Arts (M.A.) in Economics, in which one may choose either a general curriculum or a concentration in Financial Economics, and a Master of Science in Finance. The Doctor of Philosophy in Economics requires students entering to complete a minimum of 64 semester hours, including a minimum of 51 hours of formal coursework, a one-credit hour economics workshop (two presentations), and 12 hours of dissertation research. Students entering with a master's degree in Economics may have up to 12 hours applied toward the 51 hours of formal coursework. Of the total 64 hours, at least 43 hours must be at the 7000 level. Students must demonstrate competency in economic theory by passing the Qualifying Examination in microeconomics and macroeconomics at the end of the student's first year of study. Students must also complete coursework in a major field and a minor field. A field consists of a minimum of two doctoral-level (7000-level) courses. Students complete a research paper in their major field during the second summer after finishing the field coursework. Candidates must successfully defend a dissertation prospectus and, upon approval by the candidate's dissertation committee, prepare a dissertation. The student is responsible for contacting a Ph.D. faculty member about becoming the chair of the student's dissertation committee. The chair will suggest other potential committee members. After completion of the dissertation, the candidate is given an oral examination dealing with the structure and content of the dissertation.The candidate will be notified in writing of the committee's approval of the dissertation. Preparation for core courses in economics. Covers all essential mathematical methods including basic matrix algebra, exponential and logarithmic functions, the basics of differential calculus, unconstrained optimization, constrained optimization subject to equality and inequality constraints, comparative statics, and the Envelope theorem. Prerequisite: ECON 6100. First-semester core course in macroeconomic theory for students pursuing the Ph.D. in Economics. Macroeconomic models are used to study topics related to the national economy. Topics include dynamic macroeconomics, the basic Solow model, savings in an overlapping generations model, infinitely lived agents, recursive deterministic models, recursive stochastic models, Hansen's real business cycle model, practical dynamic programming, impulse response functions, vector auto-regressions, and money. Prerequisite: ECON 6100. First-semester core course in microeconomic theory for students pursuing the Ph.D. in Economics. Microeconomic models are used to study topics related to the production of firms and consumer choice. Topics include profit maximization, cost minimization, utility maximization, choice and demand, consumer and producer surplus, uncertainty, competitive markets, and monopoly. Prerequisites: ECON 6100 and ECON 7010. Second-semester core course in macroeconomic theory for students pursuing a Ph.D. in Economics. Focuses on modern intertemporal macroeconomics. Develops discrete-time dynamic optimization techniques and examines the role of fiscal and monetary policies in centralized and decentralized economics and their welfare implications. Reviews recent developments in economic growth theory and international macroeconomics. Focus is quantitative but developing intuition about macroeconomic dynamics stressed. Prerequisites: ECON 6100 and ECON 7020. Second-semester core course in microeconomic theory for students pursuing a Ph.D. in Economics. Examines oligopolies and pricing strategies with game theory, general equilibrium including the incorporation of public goods and externalities, and information economics with asymmetric information in principle-agent models. Mathematical models used to derive the theories; comfort with multivariate calculus and linear algebra essential. Prerequisite:ECON 6100. First of three Ph.D.-level courses in econometrics, in which empirical models are used to address research questions. Topics include linear algebra, estimation, ordinary least squares, statistical inference, hypothesis testing, dummy variables, the linear statistical model, regression analysis, and non-linear models. Integrates practical applications in various computing environments, including SAS, STATA, RATS, and MATLAB. Prerequisites:ECON 6100 and ECON 7060. Second of three Ph.D.-level courses in econometrics, in which empirical models are used to address research questions. Topics include the methods of time series analysis, Box-Jenkins methods, general-to-specific modeling, volatility models, vector auto-regressions, unit roots, co-integration, unobserved components, state space models, and neural networks. Integrates practical applications in various computing environments, including SAS, STATA, RATS, and MATLAB. Prerequisites: ECON 7060, ECON 7070, and passed Ph.D. qualifying exams in microeconomics and macroeconomics. The third of three Ph.D.-level courses in econometrics, in which empirical models are used to address research questions. Emphasizes nonlinear estimation methodology for cross-section and panel data. Includes discussion of various qualitative and limited dependent variable models, including those for discrete responses, censored and truncated data, sample selection problems, treatment effects, and duration analysis. Incorporates practical applications in SAS, STATA, and other computing environments. Prerequisite: ECON 6100 or equivalent as determined by instructor. Covers methods of dynamic optimization including calculus of variations, optimal control, and dynamic programming and the mathematical prerequisites of these methods such as integration, difference and differential equations, and advanced matrix algebra. Covers basics of mathematical statistics. Computer applications emphasized. Prerequisite: ECON 7040. Third semester course in microeconomic theory for students pursuing a Ph.D. in economics. Advanced methods used in practical applications in microeconomics. Topics include set theory approach to cost and production with an emphasis on measurement methods for productivity and efficiency, multifactor productivity and index numbers, and applications of game theory to issues in law and economics, political economy, and finance. Familiarity with calculus, linear algebra, and game theoretic analysis of basic strategies in oligopoly expected. Students present material related to their dissertation proposals or ongoing dissertation research to peers and the graduate faculty in a formal workshop setting. Credit is awarded after a student completes two separate workshop presentations that are judged satisfactory by the attending graduate faculty. Prerequisite: Student must have passed Ph.D. qualifying exams in microeconomics and macroeconomics. Workshop environment where students present key economic concepts, use new technology, organize and structure courses and individual classes, use assessment tools, and deal with conflict in the classroom. Offers preparation to teach undergraduate classes in economics. Prerequisites: Graduate status and proficiency in reading and writing English. Examines the history of Western economics beginning with the ancient Greeks, including the medieval scholastics, the early modern mercantilists, and selected thinkers from classical liberal economics, socialism, the historical and institutionalist schools of economics, neoclassical economics, and contemporary economics. Prerequisites: Student must have passed Ph.D. qualifying exams in microeconomics and macroeconomics. Students practice writing academic papers, critiques, and monographs in economics and finance with some emphasis on developing a viable dissertation proposal. Incorporates a detailed discussion of essential steps in the publication process such as identifying a topic, fitting it into the literature, developing a theoretical background, preparing the data, choosing an appropriate methodology, and presenting the results, as well as pitfalls to avoid in working on dissertations and academic papers. Prerequisite: Student must have passed Ph.D. qualifying exams in microeconomics and macroeconomics. Serves as the first half of an introduction to labor economics in the areas of human capital formation, wage determination, labor market mobility and job search, changes in wage structure, youth behavior and outcomes, shifts in labor demand, compensating wage differentials, and discrimination. Focus is to introduce students to current economic research methods and modern econometric techniques in preparation for conducting independent research. Prerequisite: Student must have passed Ph.D. qualifying exams in microeconomics and macroeconomics. Serves as the second half to an introduction of the leading theories in labor economics. Focuses on the most current published research techniques as found in top general interest and labor field journals. The nature of the course dictates that a wide range of topics be covered and that content changes. Past topics have included unemployment and inflation, employment allocation and job loss, technological progress, globalization, inequalities, labor market policies, youth behavior and outcomes, health, and labor supply decisions. Frequent use of multivariate regression analysis and other modern econometric techniques allows students to enhance skills necessary to conduct independent research in the field. Prerequisite: Must have passed Ph.D. qualifying exams in microeconomics and macroeconomics. Serves as the first half of the graduate sequence in industrial organization, in which microeconomic models are used to study topics related to firm strategy and market structure. Emphasis on preparing students to conduct their own research, introduces students to current methods and techniques in a variety of research areas within the field of industrial organization. Prerequisite: Must have passed Ph.D. qualifying exams in microeconomics and macroeconomics. Serves as the second half of the graduate sequence in industrial organization, in which microeconomic models are used to study topics related to firm strategy and market structure. Aim is to improve students' economic modeling and econometric skills in order to prepare them to conduct independent research. Students will make extensive use of statistical software packages such as MATLAB and STATA. Selection of a research problem, review of pertinent literature, collection and analysis of data, and composition of dissertation. Once enrolled, student should register for at least one credit hour of doctoral research each semester until completion. S/U grading. Open only to students who are not enrolled in any other graduate course and who will take the master's comprehensive examination during the term. The student must contact the graduate advisor during the first two weeks of the term for specifics regarding the details of this comprehensive examination preparatory course. Credit may not be applied to degree requirements.